Meeting News For Speakers: Back By Popular Demand! That’s right! 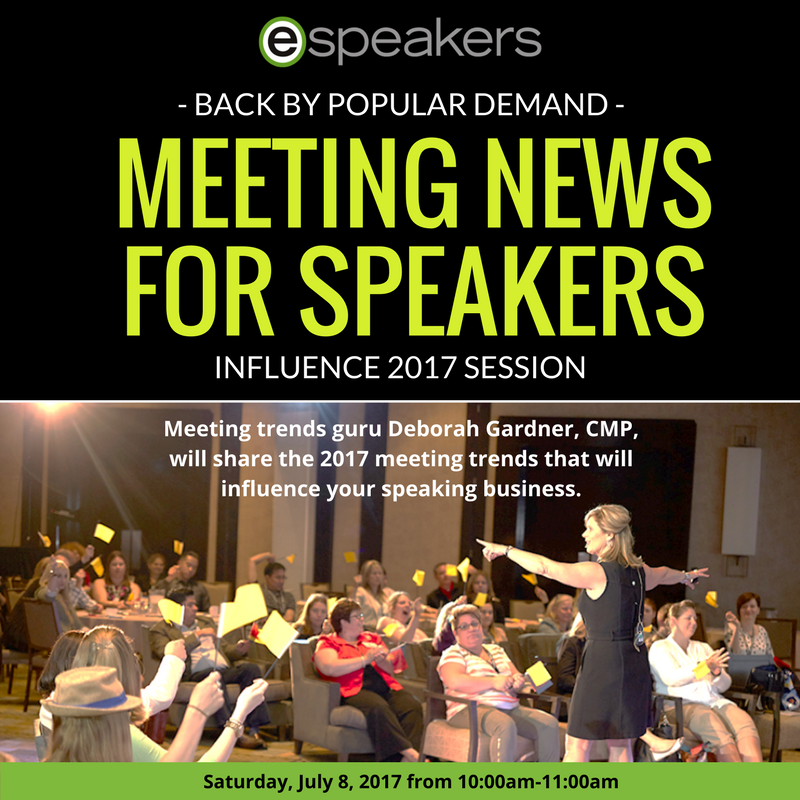 Per your extremely high recommendations and a packed room at National Speakers Association’s Influence 2016 convention, we’re bringing back the meeting trends guru, Deborah Gardner, CMP, to give you the latest 2017 meeting news and trends. If you’re serious about being hired today, hear the truth straight from the horse’s mouth: someone that has lived in the meeting planner world for 25 years. Discover how to modernize your speaking, consulting and training business strategies from Deborah’s on-going extensive meeting industry interview process. The eSpeakers Marketplace makes it easy and safe to find and hire the perfect speaker for your next event.